It's only right that two Oscar-winning actresses play a mother-daughter duo. 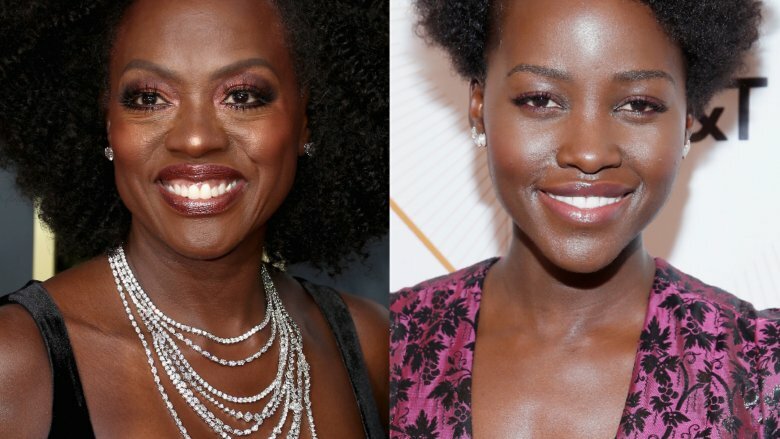 Viola Davis and Lupita Nyong'o are officially joining forces to portray onscreen mother and daughter in TriStar Pictures' The Woman King (via The Hollywood Reporter). The film is inspired by true events that happened in the Kingdom of Dahomey, one of Africa's most powerful states in the 18th and 19th centuries, and centers around Nanisca (Davis), the general of an all-female military unit called the Amazons. Alongside her fellow Amazons and her daughter, Nawi (Nyong'o), Nanisca fought the French and the neighboring tribes who "violated their honor, enslaved their people, and threatened to destroy everything they've lived for." The Woman King is based on Maria Bello's original idea; Bello will remain an integral part of the narrative during filming, as she's set to produce under her Jack Blue Productions banner. Davis and her husband, Julius Tennon, also produce through their JuVee Productions label. Cathy Schulman of Welle Entertainment rounds out the production team. TriStar president Hannah Minghella and Nicole Brown oversee the project. Minghella said of Davis and Nyongo's casting, "The Woman King is the powerful true story of an extraordinary mother-daughter relationship. And there's no one more extraordinary than Viola Davis and Lupita Nyong'o to bring them to life." Known for her role as Annalise Keating on the hit ABC series How to Get Away with Murder, Davis will next appear in the Steve McQueen-directed crime thriller Widows. As for Nygong'o, she's currently living it up in the Marvel Cinematic Universe, seen as Nakia in the insanely popular Black Panther. She's also set for a role in the upcoming zombie comedy Little Monsters. The Woman King doesn't have a release date at the time of writing.